My fave part of "Don't Wanna Lose" is when they're at the photoshoot and Laura Harris whispers to Timony to get rid of her gum, and Timony makes her adorable "Oh no, my gum!" face. Mary Timony is a great actor; she really killed it in this little beautiful short film from 15 years ago. Also: perfect pink jeans, Laura Harris. 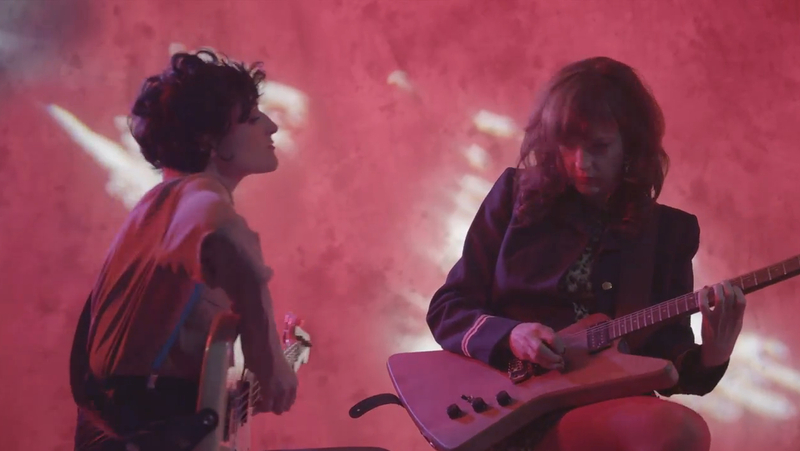 And my second-fave part: when Timony and Betsy Boots are sitting together and "jamming" or whatevs and Mary's checking out Betsy's bass like she's trying to figure out how to play her own guitar, like she isn't the #1 guitar god of the 21st cench. 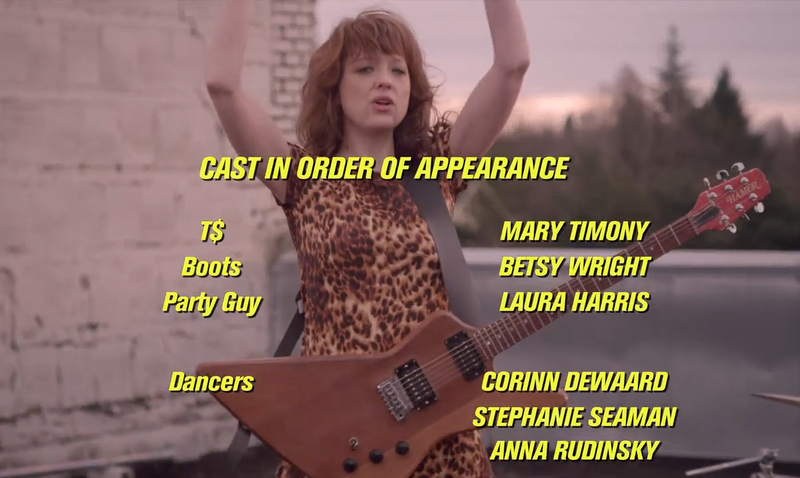 "Cool determined girl figuring stuff out" is always a good look, and Timony wears it well. Look at Ex Hex on all the magazines! I wish this were a reality. I wish it were 1987 and Ex Hex were in Tiger Beat and BOP and I could tear out the pinups and pin them to my walls. And I have to show the legs again: the legs and the tights, the socks and the heels. Another reason I feel psychically connected to "Don't Wanna Lose" is that in one of the leg shots the babes are doing the pony, and I briefly did the pony the other night, and I've been thinking how we really need to bring the pony back. My own personal pony moment was to "Typical Girls" by The Slits at a Chain and The Gang show, and I'd say that's a pretty smart place to start, if you can make it happen. 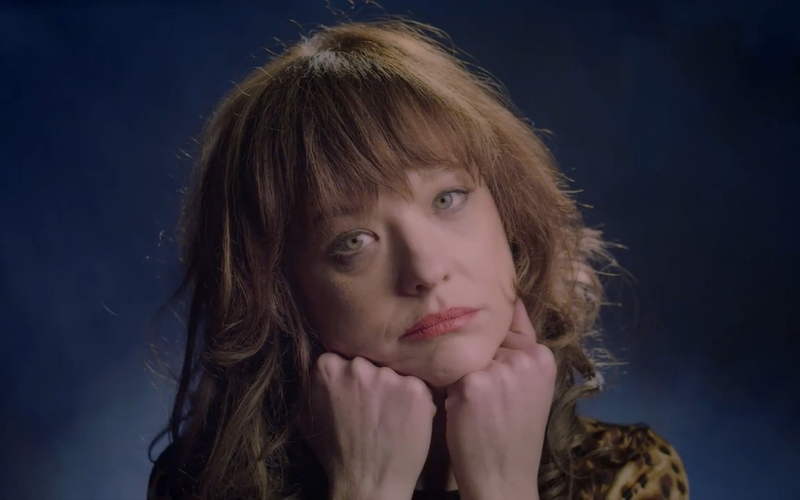 Anyway - it's rad that T$ is played by Mary Timony. And that Laura Harris's name is Party Guy. Best teen-film cast since Dazed and Confused, or maybe The Outsiders. Okay well - bye for now, Ex Hex. Amazing movie, come back soon. 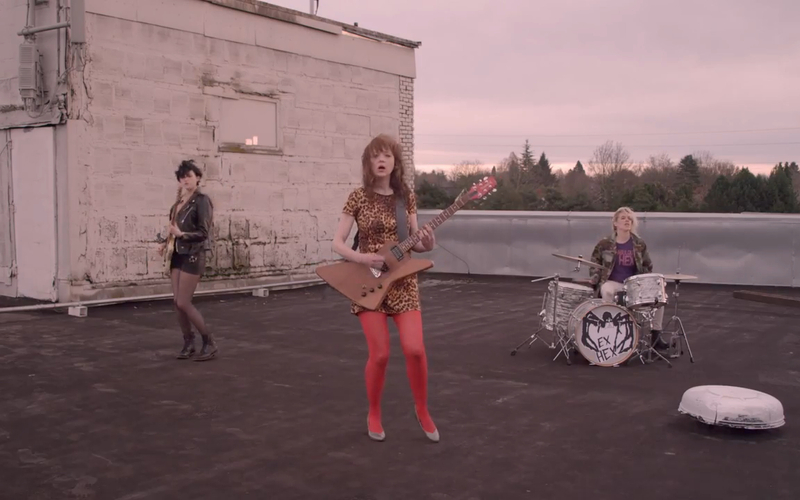 And please actually make that feature-length Foxes remake, like I told Timony to on the phone last summer. 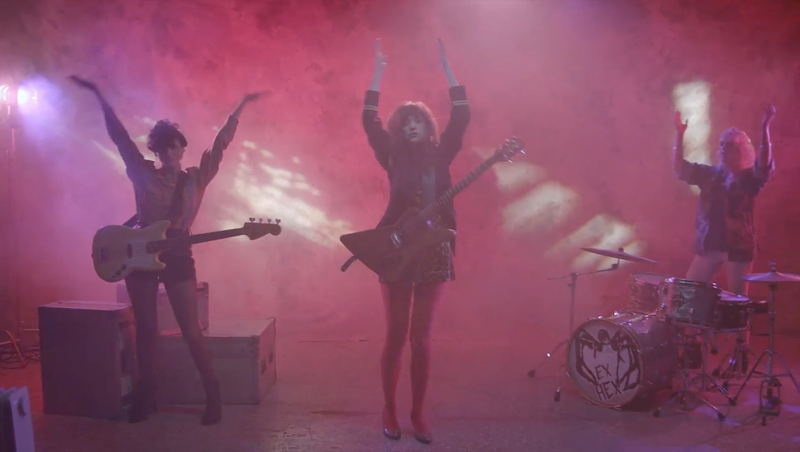 Lady, please get yr arse on a plane and come see Ex Hex with me next Friday night.